David Lintern, Soundmix’s director, set off on a 600 mile walk across the Pyrenees to raise money for Soundmix and the John Muir Trust Wild Land Campaign. See http://www.soundmix.org.uk for more information. Lamont’e Johnson wrote a guest column for the council newspaper Lambeth Life on 15 April 2010 – click here to view the PDF. 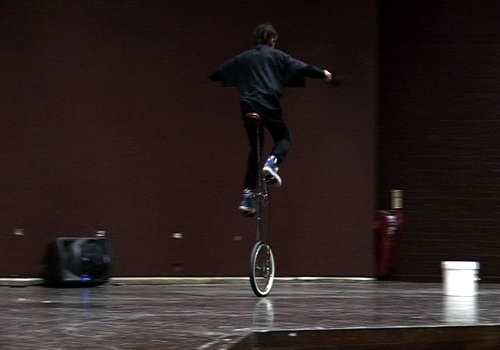 Our young unicyclists from the Saturday Arts Club recently took part in the ‘Spring Forward’ showcase at Lilian Baylis Old School.